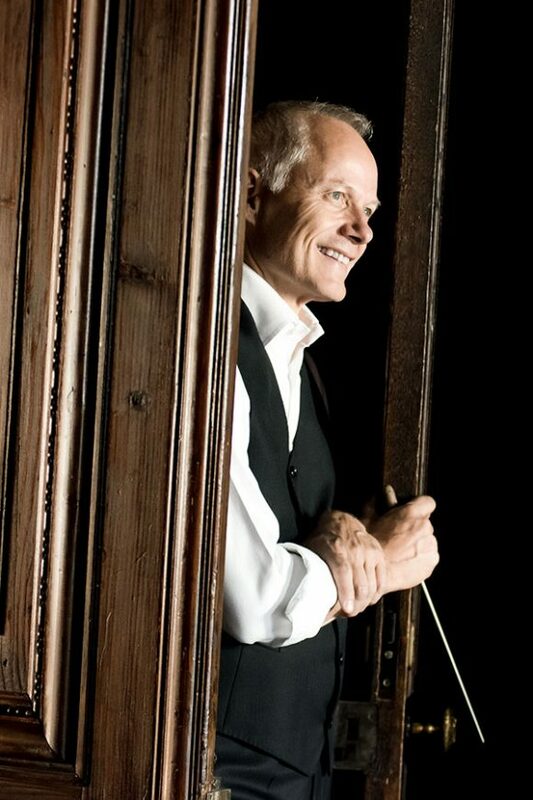 Following his appoinment as Chiefconductor of Württembergische Philharmonie he transformed the orchestra into one of Germanys top regional orchestras – wellknown in and outside Germany. As a result he regularly took the orchestra on tours to Spain, Austria, Poland, Hungary, Switzerland and Italy including Halls like Wiener Musikverein, Liszt Academy Budapest, Tonhalle Zürich, KKL Luzern, Beethoven Festival Warsaw, Palau de la Musica Valencia und Sala Verdi Milano. Ola Rudner is also an important opera conductor, he is regularly invited to the opera houses of Australia, Austria, Sweden and Italy. In Salzburg he conducted Carmen,followed by Don Pasquale and Barbiere di Siviglia . His repertoire includes Mozart’s Magic Flute, Così, Figaro, Titus and Idomeneo, Beethoven’s Fidelio; Carmen and Verdi’s Il Trovatore and La Traviata. Operettas by Offenbach, Strauss, Lehar and Kalman. Since 2010 he is regularly going to Japan with the Symphony Orchestra of the Vienna Volksopera. He has recorded for BIS, Harmonia Mundi, Australian label ABC Classics, Camerata Tokyo, Amadeus, Venice Channel (DVD – HD). With the Württembergische Philharmonie he has recorded “Romantic Ouvertures”, Mendelssohn’s 3rd, 4th and 5th Symphonie and works by Grieg (Holberg suite)and Lars Erik Larsson (Pastoral suite) for ARS Productions. For Antes Edition he recorded Eduard Grieg’s Peer Gynt Suites. Ola Rudner has an extensive repertoire ranging from Bach to contemporary composers like Ferran Cruxient or compatriot Rolf Martinsson who also dedicated a piece to Rudner and his Orchestra. His special attention concerns the interpretation of the classical repertoire from Haydn to Brahms and Bruckner for which he has received highest critical acclaim. He is the receiver of the order of merit for services rendered to the Republic of Austria. For his outstanding musical work in Australia he received the “Centenary Medal”.